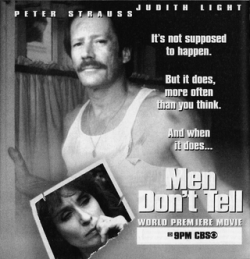 On March 14, 1993, CBS aired "Men Don't Tell", a TV movie about domestic violence starring Peter Strauss and Judith Light. The twist: Strauss's character, construction executive Ed MacAffrey, was abused by his wife Laura, played by Light. Based on a true story, it dramatizes the story of a loving husband, who is terrorized by the violent behavior of his wife.Â He had long endured the physical and emotional abuse heaped upon him by his neurotic wife. Due to "unannounced" changes to Squidoo page designs, the Dads House Manual has been moved to http://www.DadsHouseEdCtr.org. 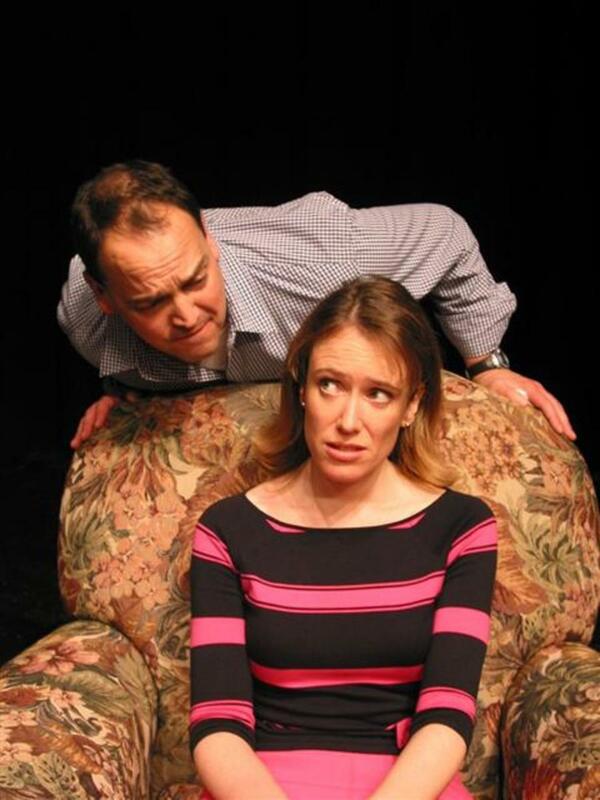 After one of Laura's destructive tantrums brings the attention of the police, Ed is suspected of being the aggressor! Finally, Laura goes too far and Ed tries to defend himself--whereupon Laura crashes through the front window of her home and is rendered comatose. Ed is arrested for Domestic Violence and Attempted Murder. As he is interrogated, he tells his story of years of abuse, and how he even once sought help by calling a domestic violence hotline, only to get scorned and hung up on. This interrogation takes all night, by highly skeptical police. While this is going on, his children have been taken to their paternal grandfather, himself a retired police officer, to spend the night. In the morning, young daughter, who chose to remain silent through the years of abuse due to the humiliation and shame, asked the grandfather is her mother was in trouble. This surprised the grandfather, who then asked her why she thought her mother, whom he thought was the victim of his abusive son, would be in trouble? To this she said, "Because mommy hits daddy". "The most sobering point about 'Men Don't Tell' is that we go into the story conditioned to make jokes about wives hurling rolling pins at their husbands and then starkly witness how unfunny and terrifying it really is," the Los Angeles Times' Ray Loynd wrote. "Light's vicious, insecure wife is a harrowing portrait, although ultimately, to the actress's credit, touched with sympathy. Her bleak image in the movie's last scene is shattering under the fine direction of Harry Winer. And Strauss' pummeled husband - whose wife flails him with sudden, sharp fists that are so realistic they make you flinch - is a study of a warmly masculine man who is no wimp, AND NO WIFE HITTER, either." USA Today's Matt Roush called the film "violent, unsettling and sympathetically acted," while the New York Times' John J. O'Connor praised the leads for their "searing" performances. The Washington Post's Tom Shales liked "Men Don't Tell," too, praising Light as "superb at bringing out the pathos as well as the hostility in this character." Although the ending of the story could be considered positive and upbeat, it is painfully clear that there are many issues that will never be resolved. First telecast by CBS on May 14, 1993, according to a New York Times Story, "Men Don't Tell" was never rebroadcast on over-the-air television, reportedly because it incurred the wrath of several women's groups. "Men Don't Tell" was seen in 18.3 million homes, ranking third among the week's prime time broadcast, behind ABC's "Home Improvement" and CBS's "60 Minutes." In 1994, it earned a Golden Globe Award for the performance of Peter Strauss. People may think Ed MacAffrey's experience was an isolated case, but according to the "Prevalence, Incidence, and Consequences of Violence Against Women", 39% of the victims are men. That's nearly four of ten cases, yet nearly 100% of the shelters where domestic violence victims can go with their children take only women. Men can experience this type of abuse for years, not wishing to leave his children behind, in the hands of the abuser, and to become the next target. Please Sign Guest Book and Leave Comment. Jerry had to make up excuses for the bruises he had when he went to work. Jan recognized the need for an organization that gave male victims of domestic violence a means of seeking guidance, so she started the Domestic Abuse Helpline for Men. David taught Ruth how to defend herself and found those skills back-fired on him.. In this DART ad displayed on metro buses in the Dallas/Fort Worth area, little boys are being taught they will likely be abusers, and little girls are learning they will likely be killed one day by their husband. The ads are disturbing and misleading because they promote the image that all men and fathers are inherently violent and should not, or cannot be trusted in a relationship. Also the ads ignore the fact that most research concerning domestic violence shows unequivocally that women are as likely as men to instigate physical violence, yet these ads do not portray that reality. The video below shows how the general public tends to react to violence against men. If you see male friends with unusual bruises and making excuses on how they got them, talk to him. 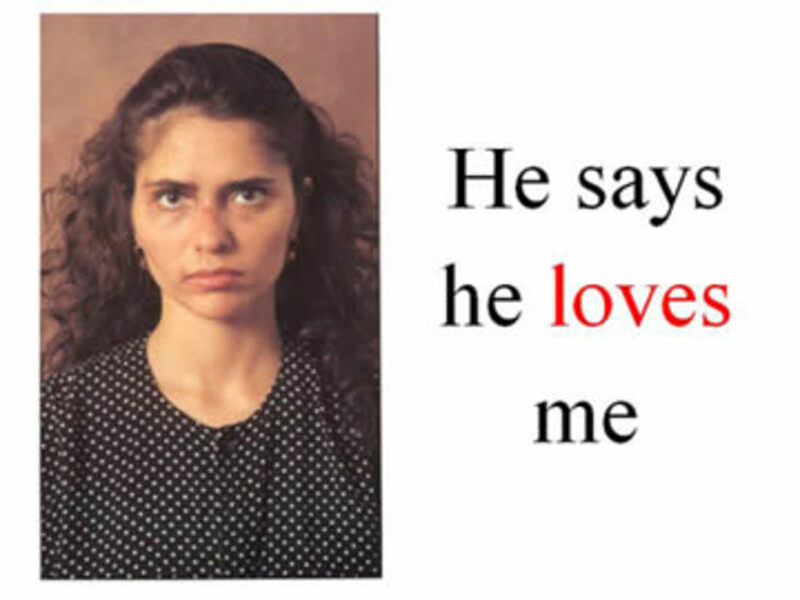 Make him understand that if he is being battered, he's not alone. For help, have him contact Domestic Abuse Helpline for Men and Women by calling 1-888-7HELPLINE (1-888-743-5754) or going to: DAHMWG.org or Facebook Fan Page. In my opinion, the Super Bowl Pepsi Max "Love Hurts" commercial, showing a woman abusing a man, was highly offensive to the male victims of domestic violence who find themselves unable to find help as people think it is funny. I live in a nursing home, where many of the aids and nursing staff are African/American, and/or African emigrants. They help keep my heart working. On Super Bowl Night, I had a male nurse who is from Ghana. Of interest, while he and the other Black Men noted the abuse of the man, the Black Women completely missed it. They centered on the issue that the Black Woman throwing the nearly full soda can at the white woman, hitting her in the head, when in reality she was aiming at the head of her male partner. It was the fourth incident of domestic abuse in a 30 second commercial. Reviewing any study on domestic violence against women, rather than of reading the summary, one should review the data charts being summarized. In doing so, it becomes clear that at least 39% of the victims of domestic violence are men. There is also little variation based on racial makeup. Men are as likely to be a victim as a woman, with the primary difference being that he has nowhere to go for help. This is especially true in family situation where children are involved. In the Kansas City Metro Area, there is only one shelter, the Salvation Army, which takes in male victims and their children. Had the gender been reversed, there would have been a great uproar and a call for a boycott of all Pepsi products by women's shelter. The man throwing the can and hitting another man in the head would not have even been noticed, only that only that he had thrown it at her. The use of domestic violence against men as a tool of humor is obscene and inappropriate. It causes these men not to seek help, and worse, abandon the family to get away from the abuser, leaving his children behind to become the probable next target. Please Sign This Guest Book - & Add Your 0wn Comments. This is so important for all the world to see.The effect on the children as well as the poor husband a father is devastating.Please world listen and open your eyes. @anonymous: It was never released to DVD or VHS, due to opposition to the content of the video. Occasionally, Lifetime Channel will show it, but never during domestic violence month. I am working on getting CBS to reshow it next March. Great Stuff! Where can we find a DVD of this movie these Days? It breaks my heart when anyone is abused, and it bothers me that anyone would think it's okay if a woman does it. Everyone deserves to be treated with dignity. Advocacy groups and friends and family members that are helping men in abusive situations, please remind them to get therapy or at least sort out their stuff so that they can move on. I have had a difficult time in a relationship with someone that was hurt and abused by his ex-wife. I think that he would be more likely to get the help that he needs to heal if our society rejected assault, violence and mental abuse against men, instead of laughing at it. I am disappointed with the way relationships are presented on television, men afraid of their wives, talked down to by the very people promising to love support and cherish, and then used, abused and manipulated by their tv children as well. Are there any other caring people noticing and bothered by how men are being portrayed? I feel sorry for our children, especially if the tv is their babysitter. Does the pendulum really need to swing too far the other direction? Or can't we use the information that we have about men and women, gay, lesbian, transgendered, christian, not-christian, people of color, people not of color, socioeconomic background, I am trying to say...all the people....any people are just that, people. @George McCasland: Thanks! I messaged her :) so we'll see what comes of it. I appreciate it! @anonymous: Men are arrested for defending themselves. A good example of this was the national news in 1995, involving Jennifer Ireland vs. Steven J. Smith. The father was charged with domestic violence due to grabbing the arms of the mother to prevent her from scratching him during a custody exchange. Two of the mother's friends were witnesses. At trial he was found not guilty, at which the female prosecutor, and the President of the Michigan Chapter of the National Organization for Women told cameras that the ruling was bias against the mother because he should not have touched her. After all the abuse I endured in my marriage I have no pity for men who are ''abused'' they CAN hold the woman down, but at 5'3'' I dared not touch my 6'2'' muscular husband. While the abuse is happening men have choices. 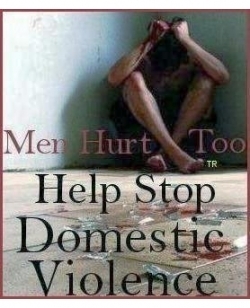 Please visit www.saveservices.org for accurate info on domestic violence, including abused men. @anonymous: Start with this person. I watched this whole movie a minute ago, and was greatly disturbed. Until about 30 minutes before watching it, I had been planning to write my grad school thesis (I'm earning my MA in Journalism) on emotionally abused women, but during a meeting with 2 professors, decided to make it focused on emotionally abused men. What would you suggest in finding male victims, getting my resources from, information, etc.? I was fired from an online writing job because I produced a column about males being victims of domestic violence. They told me there was no proof, it didn't occur (even though I quoted studies) and finally let me go when I would not change the topic. Clearly they wanted to hear that women are victims. Very unpleasant experience. @JeromeWilkins: thanks for this comment.The guy below is crying abuse but he is the abuser.I have seen these posts he puts everywhere and decided to stand for the truth. He has told only a very small part of the situation.....lucky for me ...the DA knows this ......and I have the rest of the story . Three times he has abused me.....he claims to be the victim...i am 5'2" tall he is over 200 lbs 5'10"and he is posting everywhere i abused him! It's a joke.your right against another man he runs like a chicken. besides being a predator and a con....he now comes up with this make believe story i abused him. It is not the truth. I was pregnant and he assaulted me in front of my son....twice....the time before i didn.t try to call for help .....a week later he did it again .....and broke my phone so i couldn't call 911. he tore ligaments by my cervix and i was stuck in bed for weeks. there are records. his name is warren you can see his post .....the videos he has is not the full scenario....he committed other acts before the video was rolling. that.s what he does he starts problems then grabs the camera to try to blame me for it. thank god for witnesses and my own photos.......unreal how many people here buy into his story is mostly lies....we are the victims ....i assure you he is not. @SecondHandJoe LM: I still speak with the movie's director on occasion. I remember that movie, he was popular then. I remember absolutely laughing at the thought of men being abused by women! Well, I'm not laughing now but I still find it hard to believe. Very interesting lens! Thanks. @George McCasland: I am interested in helping educate people for the sake of our suffering children. I am still in shock at the realization the laws are gender-biased. I suppose family violence may typically occur on a female but not always, I have first hand experience along with a lot of hard evidence. American laws on this subject are seriously in error. Help me help us. In have searched high and low for groups like this and they are hard to find. I actually found you through a post you commented on by my ex where she talks about leaving the state. Thank you for that comment George, THANK YOU JESUS! George, thank you for your diligence in exposing this disgusting example of cultural bias faced by fathers (good fathers) every day. There is a very, very long and difficult "fight" ahead to turn this around. Shining light on this helps! @JeromeWilkins: Ditto, I and my children have been abused and didn't know to seek help. Our lives have been shattered by the ignorant acts of neurotic women. I realize women suffer violence BUT SO DO MEN and the law ignores our injuries while women without a scratch but with a FAT LIE have men locked up and destroy the lives of innocent people. ALL violence sickens me, especially when the TRUE victim is further injured by our glorious government. @George McCasland: I will try them. I can't believe modern society is so corrupt and ignorant. I have been rudely awakened and appreciate what you're doing here. I want to help, please let me know how I can. P.S. My 21 year old son is willing to tell the story of how his mother kept him from me and dumped him off on a man she dated years back. I asked him why she didn't give him opportunity to come to me and his response was "she didn't want to give you the satisfaction". I cry for the life of my son down through the years. He calls another man dad and severely lacks manners and respect for elders. But he realizes he was ripped off in life by his mother and has been damaged beyond repair. I'm in the process of having him write his story to help someone else avoid the hell he suffered. We thank you in Jesus name! @anonymous: Come to Dads House and Post your situation. Also, have you spoken to Texas Fathers for Equal Rights in Dallas? I have my ex on video striking me, I also videotaped the bruises and scratches she left on my body. The abuse she inflicted happened in front of her son. She knew I was taping and repeatedly exclaiming how I hit and choked her. She knows the law and how to get away with her violence. she has left the state with our newborn after filing false charges on me for family violence and I can't get any help as I can't afford thousands for an attorney. I feel so ripped off in every way, the legal system here in Montgomery county texas has left me feeling sodomized and insulted beyond beleif! @JeromeWilkins: This article is about the MALE being abused by the Woman. It does happen BOTH ways. This movie hits home 'cause when I was married to my wife, I endured just-out-of-the-blue fits of mental and very physical abuse. I was threatened once with a knife to my chest. I almost had a big chunk of flesh and blood ripped out of my inner forearm because she had her teeth clamped down. Although, I was always faithful to my wife and loved her very much, she constantly accused me of infedelity. She also would use our 2 year old son to get her way. I was raised never to disrespect a woman. I , finally got some sense in my head and I told her to leave and come back only when she straightened out. A year passed during at which times she would beg to come back and I would realize that I didn't want to go through this hell anymore. This is reality- it happens all the time. It has nothing to do with my being a "man." I fulfilled all my husbandly duties and responsibilities. It's a deep-rooted sickness that can happen to all walks of life- man or woman; rich or poor. Thanks for all the information in this lens because men don't tell and there are way too many women who abuse men and get away with it...or the man is made out to be the violent and aggressive one. Excellent work! Please read this sad story about a decent man who was falsely accused and wronfully convicted of a crime he did not commit. You can help free him or get him a fair trial by signing this petition. Thank you. Domestic violence has always disgusted me. Most men who commit such shameful acts would not dare fight another man. Great lens.Keep on educating us. @KarenTBTEN: Interesting point, but it certainly wasn't the case with someone I know. He was not abused at home but I cannot tell you how shocked I was when I realised the abuse, physical and mental, that he was suffering at the hands of his wife. And although they were divorced long ago, she continues to abuse him through their children. When I clicked on this, I thought it was going to be about adult victims of childhood abuse which I already knew there were a lot of. Hmm... cycles. They say females who were abused are more likely to seek out abusive relationships as adults. I wonder if that is so of males who were abused as children as well. Great!! You are spot on. Domestic violence touches both genders across people of all races, religions, and socio-economic backgrounds. @anonymous: That is up to you and others who are willing to spread the word. We cannot just expect men to find this. We must reach out to them. Great site. I hope you get many visits. Thank you George, for helping to publicize the issue. this stuff makes me mad. first the punishment, then the trial. this is why people don't like feminists. i don't even want to research it anymore because it is too depressing. A needed topic, and one that's not known or understood. I've known several guys that were the abused, and thought no less of them. In fact, they were all excellent friends, and the best of people. This stuff is disgusting. Like kids don't get enough negative messages about inappropriate behavior in their music videos, now we have to screen commercials, too? Pepsi, you have behaved very irresponsibly, and you deserve to be punished. By plummeting sales. What were you thinking ? Coke wanted to teach the world to sing, you want to teach the world to hit. Go figure ! Pepsi is saying Black women are violent. Further Pepsi is advocationg female violence against men. Btw sn't this a form of child abuse? Son's watching the Pepsi commercial might think it's ok for girls at school to abuse them. And girls get the message that if an adutl female character hits a man then maybe it's ok for her to hit boys. These girls then grow up &amp; use violence against men. Everyone loses except the lawyers,judges, psychiatrists, social workers etc who will reap many work benefits from this. Thanks Pepsi for helping to tear apart the fabrice of America. @anonymous: I could have said that. I thought the Pepsi commercial was funny, but the fact of abuse isn't. I'm a male and a victum of abuse from my ex wife. i did what most men did and tried to stay together for the sake of my daughter. I put up with being bite, scratched, kicked, spit on, hit and verbal abuse. No one took me serious including the marriage counselor we went to. The funny thing is, my ex claimed that I was abusive to her and still does to this day. Even more funny, she originally got custody of our daughter until she was a teenager and called saying her mother hit her. When we had to go to court for this, she justified her actions by saying that the daughter hit her first. All she got as the daughter removed, she lost custody, but nothing else. Even the police where of no help to me. The only time they took things serious was after she told them that she hit me, they took both of us down and photographed us, but I was the one that got most of the grief given to at the station. I could not believe my eyes. This ad is horrible. Any combination of participants would have been awful, but staging it so that it is ok for a male to be abused is harmful. Attempting to make it funny is even worse. This Pepsi ad says, "If you're a sociopath and would intentionally hurt someone in public and run away, this product is for you!" Yep, I wanna get all gangsta yahmeen and whack people for no reason. I would never buy Pepsi anyway, but I see what kind of people DO.